When Jessica + Mario reached out to me about photographing their wedding in Sayulita, I remember feeling so ecstatic. I’ll pretty much take any reason to go to Mexico and have gone at least twice a year for the last few years, either for vacation, to work with a non-profit children’s organization in Ensenada, or as a destination wedding photographer. I think I might be addicted. Anyway, we chatted about the two of them and something Jessica said really stood out to me. She told me about this trip they were taking (to Mexico) and how they had lost a passport on a layover, so they never made it to their destination. Rather than dwell on that or let it get them down, they went home and took a long road trip along the coast of California making amazing memories together! She said, “It was in that moment, of what could have been disappointing experience, that I knew I was with the right person who, together, we could take lemons and turn them into (definitely spiked) lemonade!” I was really struck by that story, how easy going and sweet Jessica is, I just knew we’d be a great fit. She has this way of making you feel like a long lost friend when you chat with her, especially when you meet her. 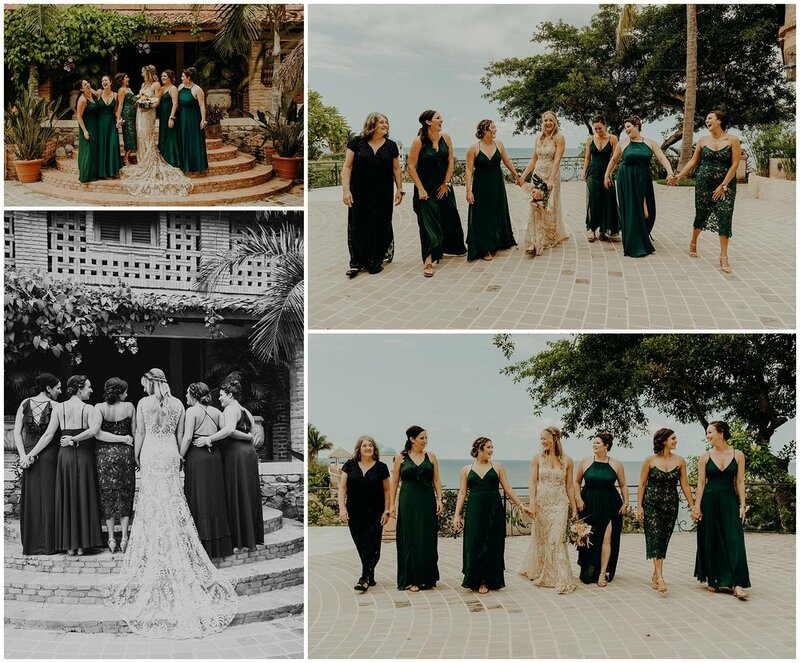 Jessica and her amazing group of friends decided to get ready at Amor Boutique hotel. It has stunning villas and some of the prettiest views, just be ready for some stairs. Lots of stairs. I promise it is so worth it! The steps outside the villa made for a perfect way to show off Jessica’s incredible dress. My favorite spot in the Amor Boutique hotel is definitely this gorgeous wooden gate outside the spa. 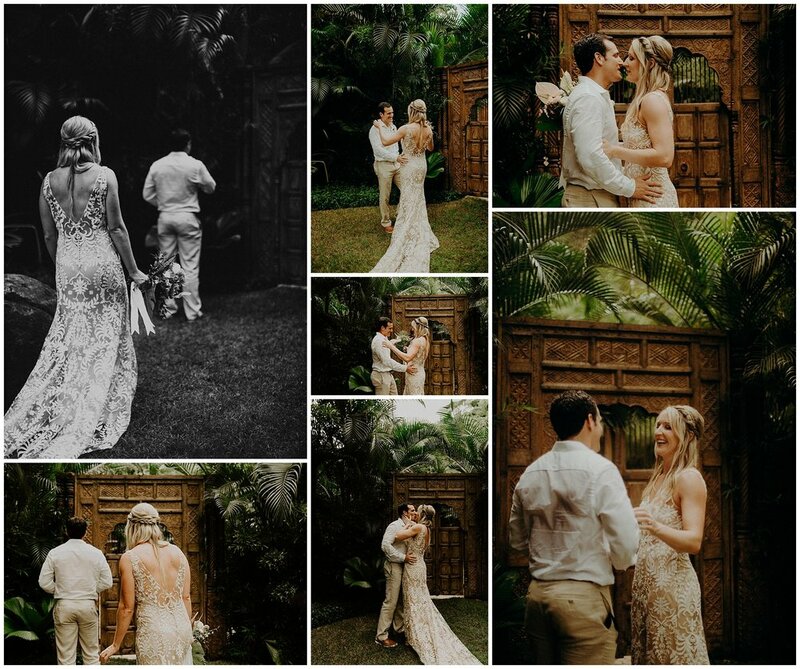 It created this secluded jungle escape for Jessica + Mario’s first look. It felt like we had somehow transported to Bali or Morocco in a way. Some place much further away than Mexico. It really added a unique touch to the day! One of the sweetest things I’ve seen at weddings is a first look with dad. I swear I’m not a big cryer and this moment had me welling up! 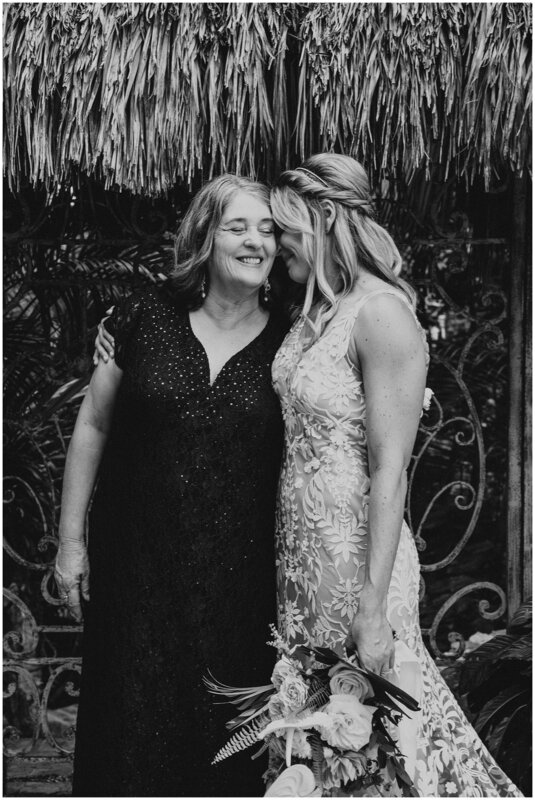 Later, we gathered at Brisa Mar Palapa for the real magic of the day: a ceremony complete with tequila shots and so much love. Since Sayulita holds such significance for Jessica + Mario as a couple, we wanted to make sure we captured as much of the town as we could during our time together. We wandered along the beach side streets and then down to Playa De Los Muertos. Our evening ended just the way it should, with margs and dancing and churros.